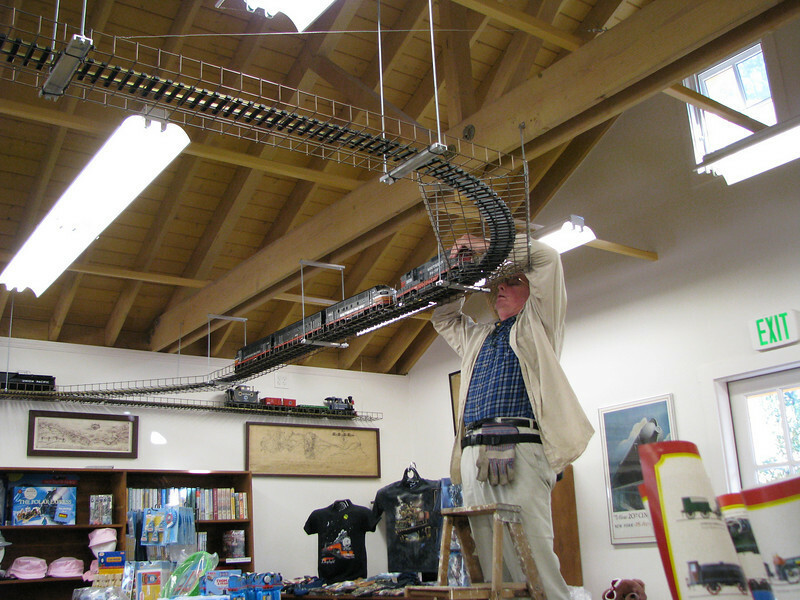 Following completion of the Visitor Center, work began on a G-Gauge (1:29 scale) train suspended from the ceiling. Phase 1 of the project was completed in 2007. For awhile, the freight train was pulled by four locomotives. Here, Ed Leska adjusts the trailing Southern Pacific unit.